We checked out access to Neskowin Ridge in January 2019 and found that it is Miami Corp. property and gated. Google Earth labels the road "Van Duzer Forest Wayside" as it is just a quarter mile west on Highway 22 to the state park with that name. 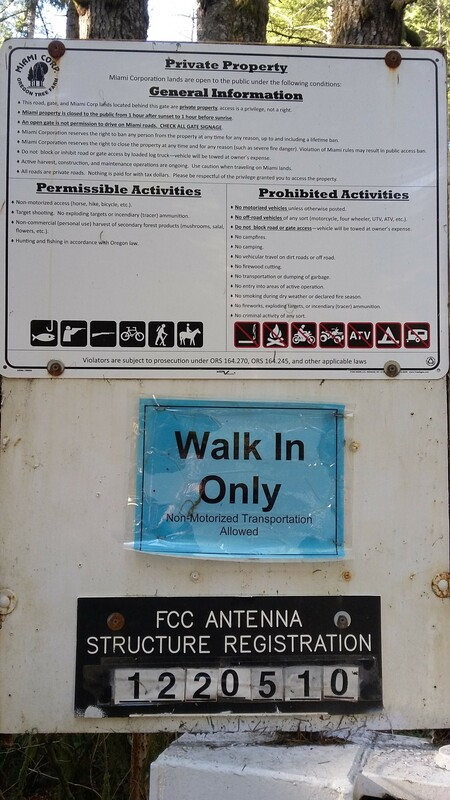 The current access status was "Walk In Only" and other times of the year it may be restricted further. It appears to be about 3 miles and 1200 feet of gain to the summit from the gate.